Situated just across the road from the beach with restaurants on your doorstep and the main hustle and bustle of the town just a 200m stroll, L’Amiral is all about location, location, location. A collection of sleek 1 & 2-bedroom apartments, with comfortable, high standard furnishings, all individually laid out. 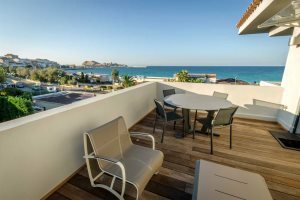 Arranged over three floors, most of the apartments have wonderful sea views coupled with plenty of outdoor space that has been built so you can truly indulge in the Corsican sunshine and enjoy al fresco dining. 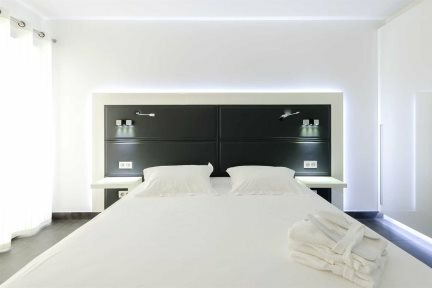 Top quality Italian furniture, mood lighting, open plan layout and splashes of colour make the apartments very contemporary with the use of bright whites and neutral greys to give the apartments a light and airy feel. The owners want to offer the services of a hotel, whilst giving their guests the independence of self-catering apartments, so you can enjoy a daily towel change and freshen up as well as a change of linen weekly. 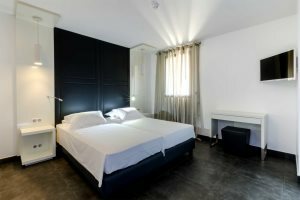 All the apartments have the added bonus of sharing a heated swimming pool, and secure garage parking gives you additional peace of mind should you wish to hire a car. 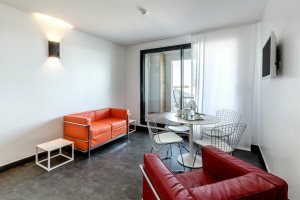 These five recently-built apartments are located just a skip from L’Ile Rousse beach and a short walk from the old town with its excellent local shops and daily morning market offering fresh produce. The fine yellow sand of the beach, combined with the vast choice of restaurants provides the perfect setting for a relaxing day by the water, and still just minutes away from your apartment. With superb views, ultra-contemporary interiors, high-quality facilities and daily cleaning, they provide the perfect escape to a luxury holiday in Corsica. "Fantastic location, within walking distance of all areas in the town. The most wonderful balcony overlooking the sea. Very well designed apartment." 2-bedroom apartments (65-69m²) - Open-plan living/dining room with kitchen area. 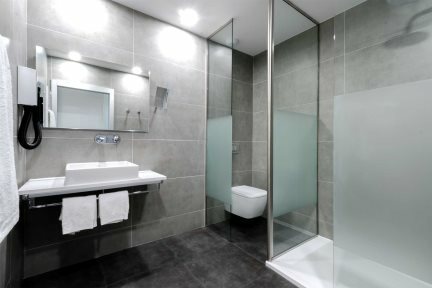 Double bedroom with en-suite shower room with wc, twin room with en-suite shower room with wc, air-conditioning, terrace with sea views. 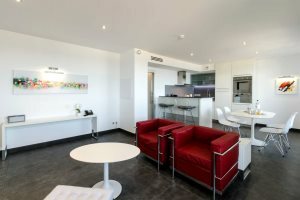 1-bedroom apartments (30-46m²) - Open-plan living/dining room with kitchen area. 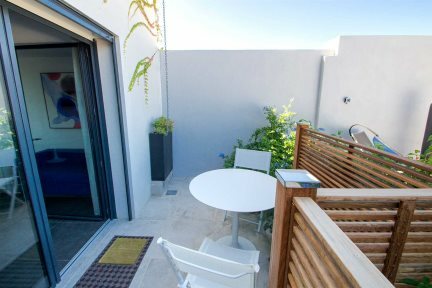 Double bedroom with en-suite shower room with wc, air-conditioning, terrace with sea view or garden view. 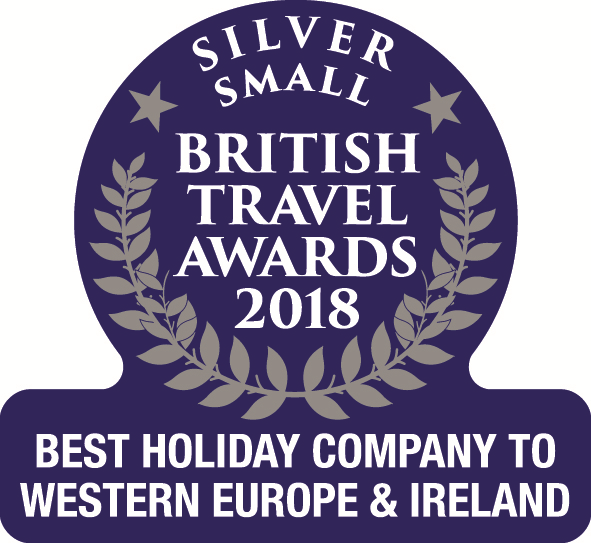 Shared heated pool (6m x 4m), solarium, secure garage parking, washing machine, dryer, dishwasher, microwave, television, BOSE docking station, Wi-Fi, hair dryer, safe and iron, no lift, beach towels offered. 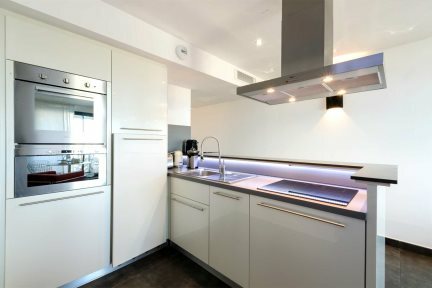 2 bedroom apartment situated on the first floor - 65m². Double bedroom with bed 160x200cm with en suite shower room and wc. 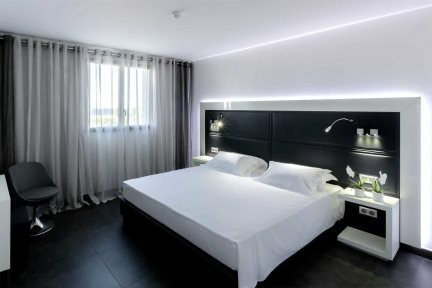 Twin bedroom with 2 single beds measuring 90x200cm with ensuite shower room and wc. 15m² furnished terrace with sea views. 2 bedroom apartment situated on the second floor - 69m². Double bedroom with bed 160x200cm with en suite shower room and wc. 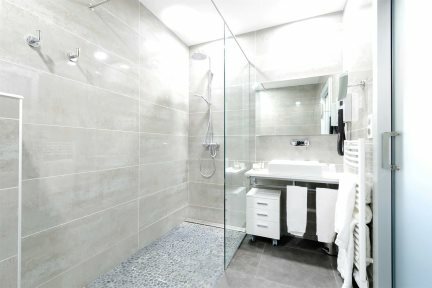 Twin bedroom with 2 single beds measuring 90x200cm with ensuite shower room and wc. 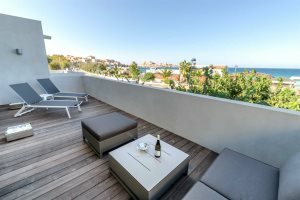 11m² furnished terrace with beautiful sea views. 2 bedroom apartment situated on the first floor - 65m². Double bedroom with bed 160x200cm with en suite shower room and wc. Twin bedroom with 2 single beds measuring 90x200cm with ensuite shower room and wc. 35m² furnished terrace with sea views. 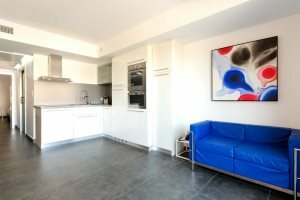 1 bedroom apartment situated on the ground floor - 46m². Double bedroom with bed 160x200cm with en suite shower room and wc. 13m² enclosed furnished terrace, situated next to the pool. This apartment is adapted for disabled guests. 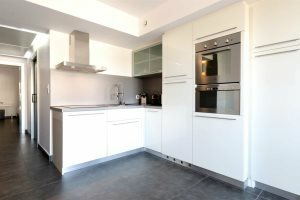 1 bedroom apartment situated on the second floor - 30m². Double bedroom with bed 160x200cm with en suite shower room and wc. 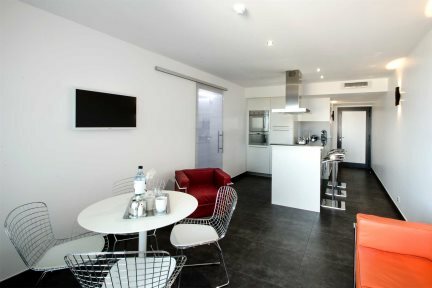 32m² double aspect furnished terrace with stunning sea views.